Microcephaly is an abnormality in which a baby’s head is smaller than the average size for their age and gender. This is a neurodevelopmental disorder, meaning the decreased size of the child’s head is due to a brain problem. Often microcephaly is the result of a birth injury. Hyposix Ischemic Encephalopathy. HIE is a condition that can cause microcephaly. HIE is an injury caused by a lack of oxygen supplied to the baby’s brain or by restricted blood flow in the brain. HIE may be the result of fetal distress caused by a delayed C-section. HIE can also occur during pregnancy and delivery due to a ruptured uterus, placental abruption, the umbilical cord wrapping around a baby’s neck, and other causes. Hemorrhagic Stroke. A hemorrhagic stroke occurs when a blood vessel located in or near the brain bursts and causes severe bleeding. The improper use of certain medical instruments, such as forceps or vacuum extractors, during delivery can cause this type of injury to the baby. If these instruments are not properly applied, resulting brain bleeds can lead to microcephaly. Ischemic Stroke. An ischemic stroke is another problem that can result in microcephaly. An ischemic stroke occurs when the blood flow into the brain decreases. Vacuum extractors increase the risk of this complication. Infections. Certain infections heighten the likelihood for microcephaly. When an infection is passed on to a baby during delivery, the baby may develop sepsis. Sepsis can create inflammation around the brain and spinal cord and reduce blood pressure, all of which can lead to oxygen deprivation in the child’s brain. It is the responsibility of your doctor to properly manage and watch over your baby throughout your entire pregnancy and during labor and delivery. If your team of medical professionals fails to diagnose specific conditions that may lead to microcephaly, the consequences can be disastrous. 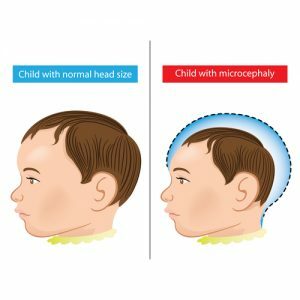 Microcephaly can be prevented. The brain injuries that occur and cause microcephaly are often the result of medical negligence/malpractice. If your child suffers from microcephaly, and you believe it may have been caused by improper medical care or negligence, call Thurswell Law today. We can help you get the monetary compensation you deserve. For a free consultation, call (248) 354-2222. There is no charge for our services unless you receive money.